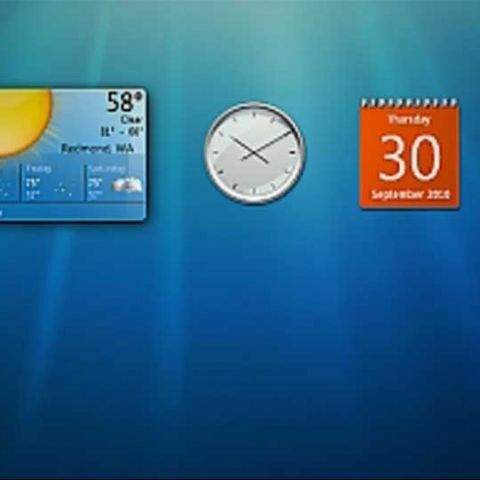 It has been almost three years since Windows 7 was released to the public and even now, security experts are discovering vulnerabilities in the OS. Two researchers have recently discovered that the desktop Widgets’ web-based code could allow the system to be compromised without having to resort to the usual attack methods. In light of the discovery, Microsoft has released a patch for Windows 7 that, unfortunately, offers a fix in the form of disabling the desktop widgets completely. People who relied on desktop gadgets for weather updates, keeping track of multiple time zones or even monitoring system resources would definitely not be happy with the move. It seems that there won’t be a solution that would retain the gadgets and just patch the vulnerability till the issue is brought up at the Black Hat Conference on July 26th. However, it doesn’t seem like Microsoft would invest too much time in the desktop gadgets issue, seeing as how the big push from the Redmond outfit is to convert its entire user base to Windows 8, which is releasing in October, and doesn’t even have the gadgets functionality to begin with. It doesn’t look well that such critical exploits are being discovered so far into an operating system’s life cycle. We can only hope that Windows 8 will be a far more secure and relatively exploit-free experience.